Over 300 members of the Garwood community came out to enjoy an outdoor showing of the movie “Paddington” on Friday September 18, 2015. 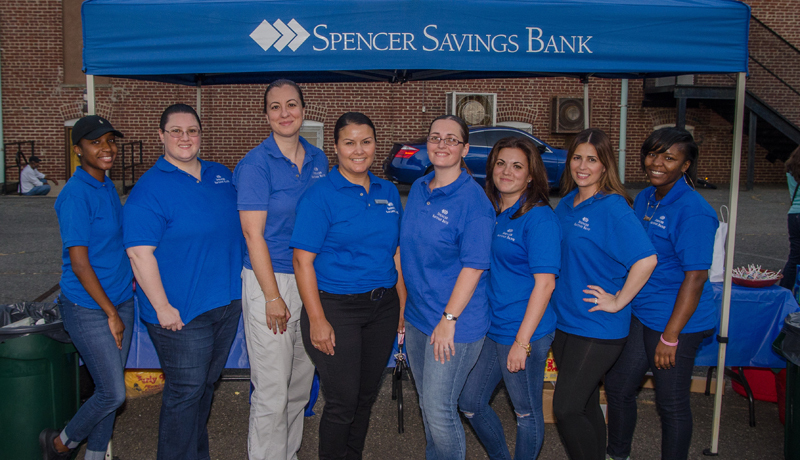 The event was part of the bank’s Movies Under the Stars series and sponsored by Spencer Savings Bank, The Westfield YMCA, The Greater Westfield Area Chamber of Commerce and the Borough of Garwood. The family oriented event featured raffles, prizes, refreshments and popcorn. The 300 in attendance included residents from Garwood and the surrounding area. The movie “Paddington” is about a young Peruvian bear with a passion for all things British who travels to London in search of a home. Finding himself lost and alone at Paddington Station, he begins to realize that city life is not all he had imagined – until he meets the kind Brown family, who read the label around his neck (“Please look after this bear. Thank you.”) and offer him a temporary haven. It looks as though his luck has changed until this rarest of bears catches the eye of a museum taxidermist. The seasonal Movies Under the Stars series is presented each summer throughout towns in which the bank serves, often drawing hundreds of attendees. The 2015 series has now concluded and will start up again with the warm weather in the summer of 2016.